With newspaper headlines often screaming, “Farmer commits suicide”, “Severe drought”, etc, you may be inclined to believe that anything to do with agriculture is definitely not for you. Even after such heavy toil and trouble, farmers do not seem to receive any real benefits at all. Yes, you may be forgiven your thoughts, considering that they are guided only by media proclamations. However, do look at the bright side too. If there are farms that have failed to take off well, an equal number have succeeded wonderfully as business ventures too. Thus, the occupation of farming, by itself, may not be categorised as bad and good. How you handle its various aspects will ultimately decide its fate. Will it remain standing or will it fall? 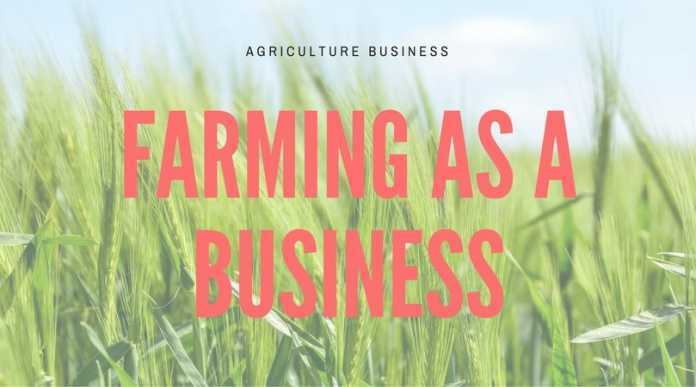 Now, there are certain aspects of farming that you must acquaint yourself with, prior to actually stepping into the agricultural business in India. As a young adult, or even a middle-aged one, you may feel highly enthusiastic about initiating a new venture, regardless of whatever field it involves. However, mere motivation and energy are not sufficient. You need expert guidance from experienced farmers, who have seen good times and bad ones too. Towards this end, therefore, find yourself a mentor first. Do not hesitate to ask questions, even if they seem silly on the surface. After all, you are striving to educate yourself. At the outset, explore the climatic conditions of the particular region where you stay or plan to set up a farm. The weather is bound to be favourable for certain crops, while unfavourable for others. Similarly, even the types of soil present, availability of water, etc, are important considerations. Check out the natural resources on hand, since they will make your bonding with the land much easier. Do take help from a reliable realtor or another farmer while purchasing farmland, regardless of whether it is big or small. Once you are through with your investigations, you should be able to decide which kind of cash crops or staple produce you wish to grow on your piece of land. For instance, certain crops like paddy, millet, cotton, maize, etc, are Kharif or monsoon crops, requiring large quantities of water. In contrast, wheat, mustard, gram, etc, are Rabi or winter crops. They are subsistence crops. Alternatively, you may go in for cash crops, which include drugs and beverages, fibres and oilseeds. They are sold, even outside India, for profit. Remember that many of them are seasonal in nature. Therefore, choose with care. Apart from these kinds of crops, you may even grow vegetables, fruits, flowers or mushrooms. Whatever you opt for, your choices must be in alignment with particular seasons. Whatever you decide, ensure that your surplus produce is the answer to rising market demand. Furthermore, the quality must always remain good, ensuring that you obtain marvellous monetary returns. Thus, if your background investigation is relevant and fruitful, you will have won half the battle. Farming is not an art that can be mastered in a few days, weeks, or even months. Your education has to be continuous, for there are all kinds of novel techniques and technologies being introduced into the field of agriculture at regular intervals. 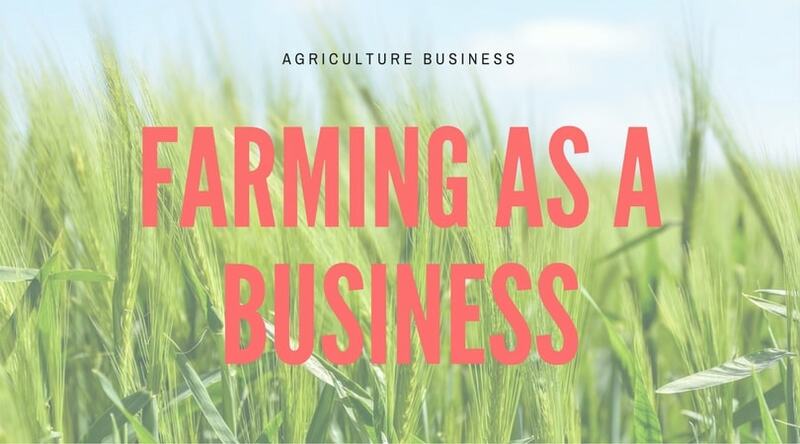 You may even keep up with the times by reading the latest books on farming and extract the opportunity in farming as a business. There will have to be some learning prior to cultivation on your farm and some on-the-job training through performing various tasks. Yes, sometimes, trial-and-error also proves to be highly useful. Therefore, be prepared for time-consuming tasks that may give no concrete results at the end. Tell yourself that you are learning something from every experience and do not engage in heavy brooding. It will help if you appoint a mentor for yourself. If you are passionate about launching your own farming business, you might consider working on someone else’s farm for a year or so. First-hand knowledge and experience always comes in handy. 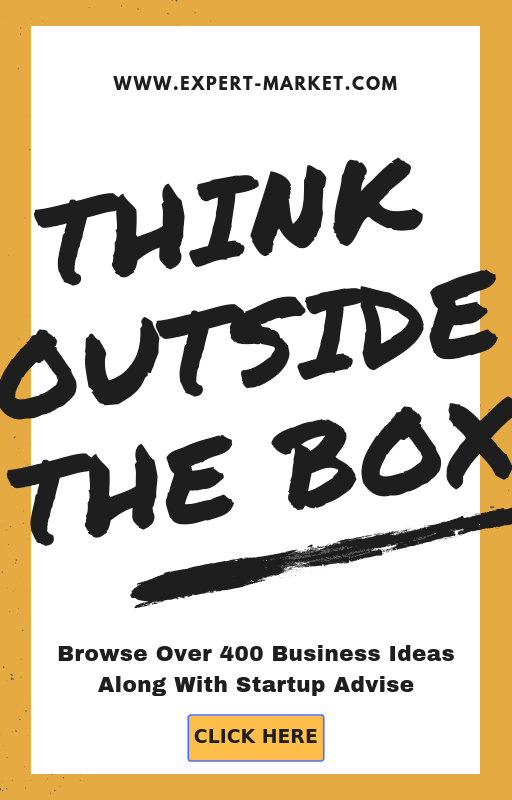 You will be able to recognise existing and impending challenges, and comprehend how to tackle them in innovative ways. You may even develop all kinds of ideas for your future farm. As a final step, use all the knowledge that you have gained through your labours to work out a farming business plan. Place your plans regarding supply and demand, operations, finances, management structure, products, and so on, on paper. You may even show it to an experienced farmer and request relevant advice. 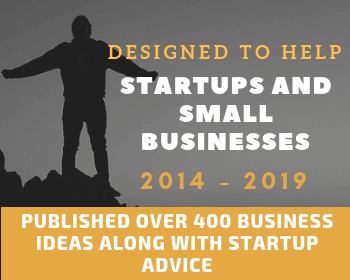 Finally, find out about availability of loans (investment on your farm) and licenses to obtain, for every business requires official permission prior to launching. True, like most people of your age, you are hesitant to take up farming. As mentioned earlier, you have always believed that it is backbreaking labour without much in the way of economic returns. This occupation does not go well with the young and cool image of yourself that you desire to portray to the rest of the world. There is no career advancement, either. Nevertheless, do not forget that you will be viewed as a smart and educated entrepreneur, who has the courage to go back to the land! After all, few have that kind of courage. Unlike your parents, or even earlier generations, you have a degree in agriculture and knowledge about the practical aspects of farming too. It becomes obvious that you have great awareness about organic and inorganic farming, seed quality, modern equipment and tools, etc. Then again, you are not alone. There are all kinds of schemes constantly being introduced by agricultural cooperatives and governmental agencies, to help you obtain what you need at affordable prices. There are reliable organisations that are ready to offer expert advice via trained and qualified professionals in farming business. Above all, with your sincere efforts, you will be helping to feed the ‘hungry’ of the world. You are not afraid of hard work, are you? With so many advantages in your favour, how and where can you go wrong in your agricultural business? Therefore, just go for it!